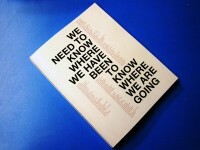 We Need To Know Where We Have Been To Know Where We Are Going is a collaboratively written text on the history of art and social practice. 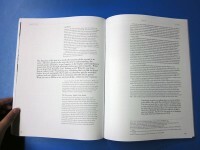 This book features the contributions of over 20 undergraduate students enrolled in the History of Art and Social Practice class at Portland State University in the Winter of 2009, graduate students from the Art and Social Practice MFA concentration, Portland based artists, and interviews and contributions by influential social practice artists including Ted Purves, Helena Keefe, and Paul Butler. I was in that class and wrote some things for this book. More information about the Art and Social Practice program at PSU here. 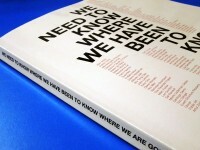 The book was excellently designed by Belin Liu, from whom I stole these photographs.